No organic cream tea would be complete without healthy dollops of clotted cream for those all-important scones. 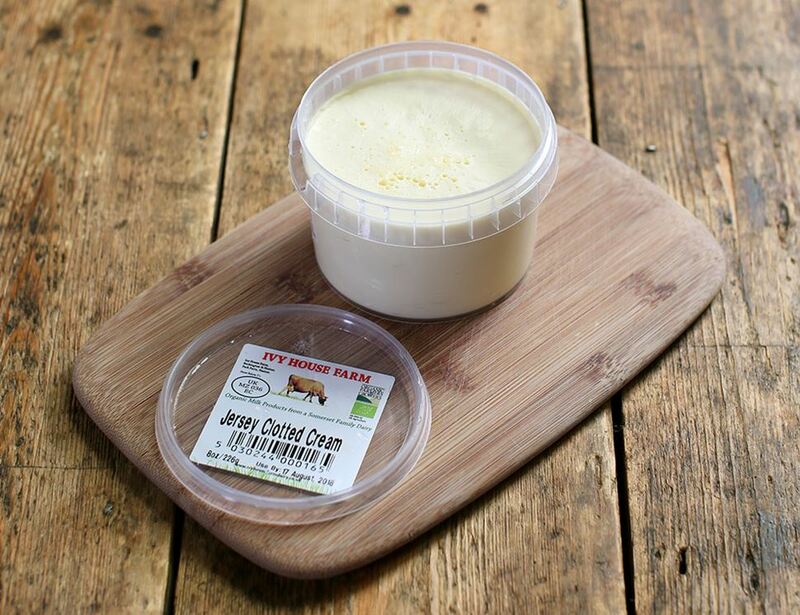 Indulge in our very best, made with the milk of Ivy House Farm’s happy herd of Jersey dairy cows and cooked up to perfection using traditional methods. Now the only thing left to decide is do you go cream first, or jam? Ivy House is a family-run dairy farm in Beckington – a stunning patch of countryside in Somerset where their 120 Jersey cows munch on the luscious fields of green grass and clover. Keep refrigerated below 5c and store upright.